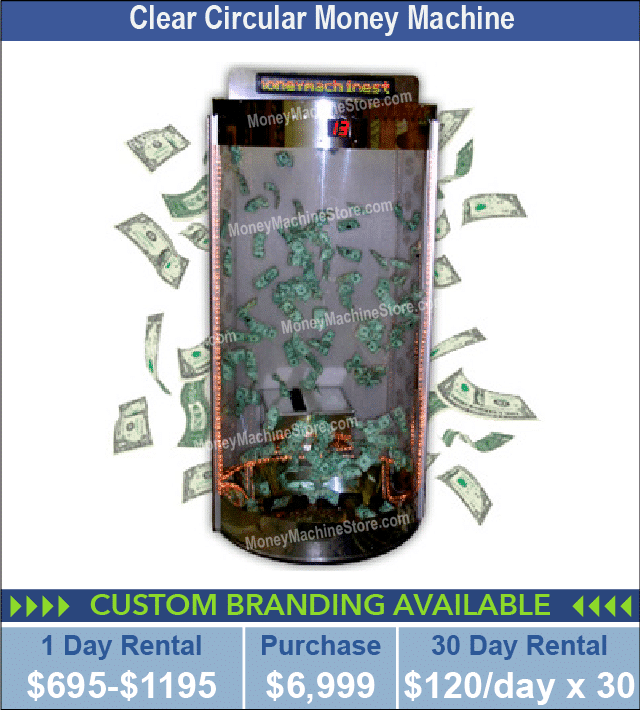 For over 30 years, the Money Machine Store has been serving Nevada businesses, specifically Las Vegas, by providing top quality custom branded money machines. 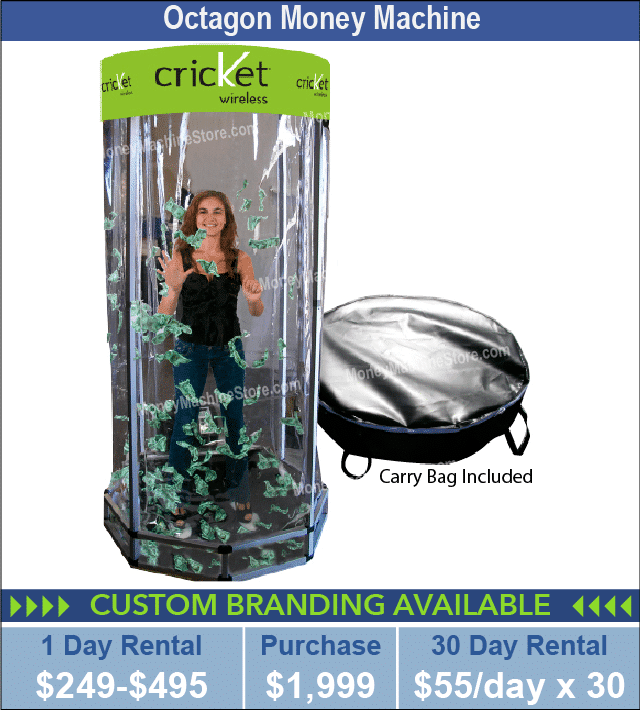 Great for any promotional event, our cash cubes are a unique marketing tool that will entice potential customers to you and your company’s tradeshow booth, store front, or event venue. You’ll find our cash cube machines all over Nevada in tradeshows exhibits, casino promotions, music and sporting events, fundraisers, and any marketing and promotional event you can imagine. Look around the Las Vegas Convention Center, ranking third in the nation, or world-renowned Caesar’s Palace, for example, and you’ll find our mind-blowing cash cubes. Our proven successful money blowers are your answer for high sales and profit results. They’re fun, exciting, and the perfect way to build excitement and attract potential customers in Nevada. 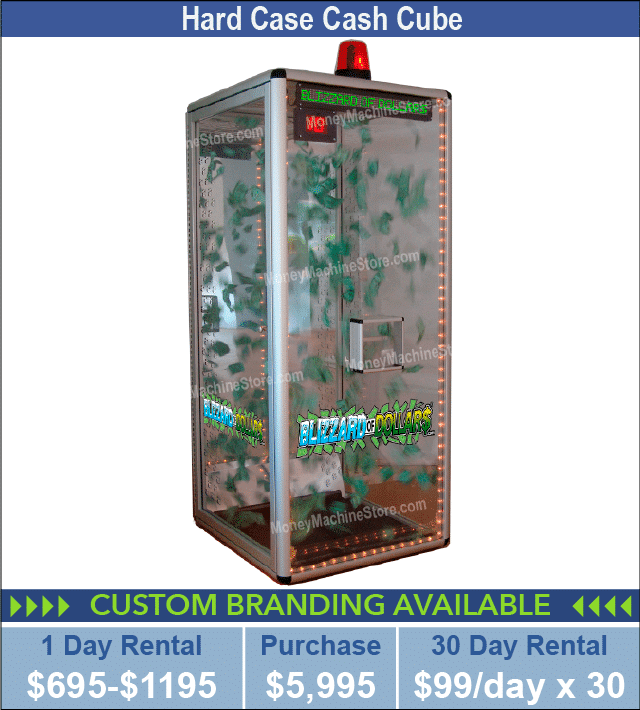 Whether you’re in the heart of Las Vegas or progressive Reno, you can be sure our cash cube money machines will entice customers and sell your service or product. 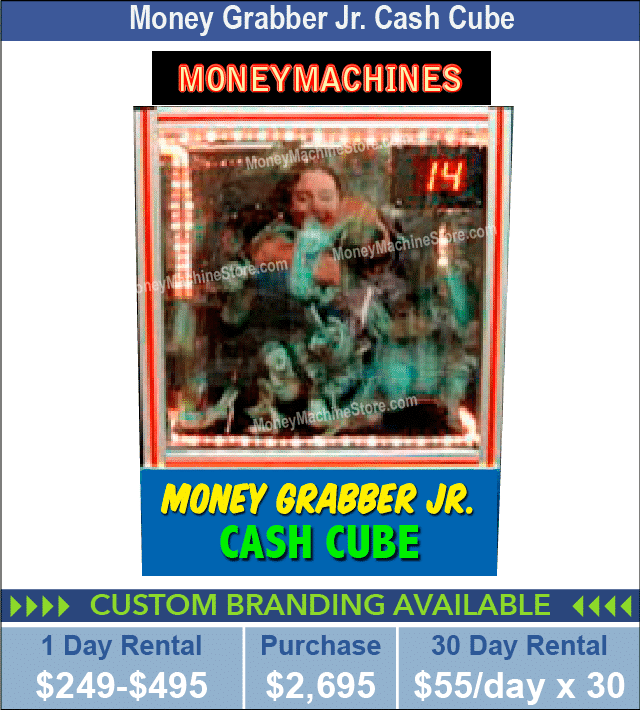 The Money Machine Stores’ featured hardcase money booth is the As Seen on TV Blizzard of Dollars® Cash Cube Money Machine. This money cube packs a punch when it comes to engaging a large crowd to your event. 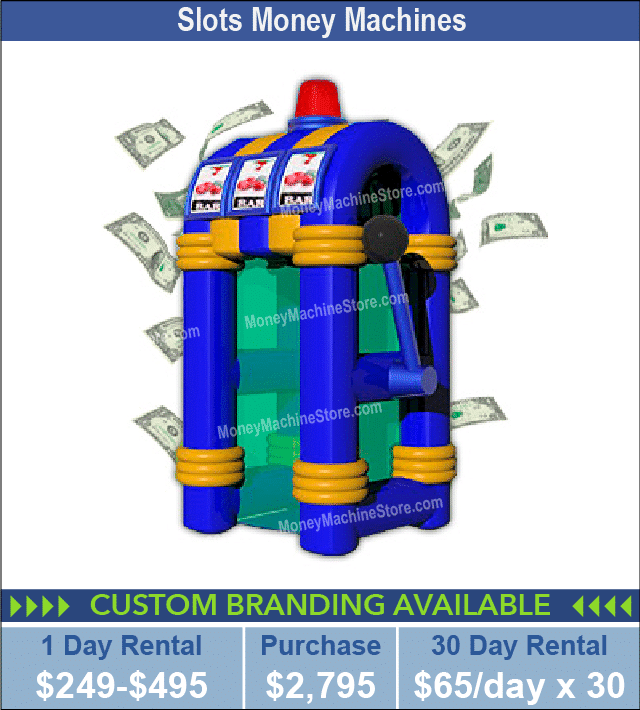 When you rent or purchase a Blizzard of Dollars® Cash Cube Money Machine or any other money booth we rent or sell, you have our guarantee your event will be a success. Potential customers will race to your event, knowing they can win big. And, when they win big, you win big. 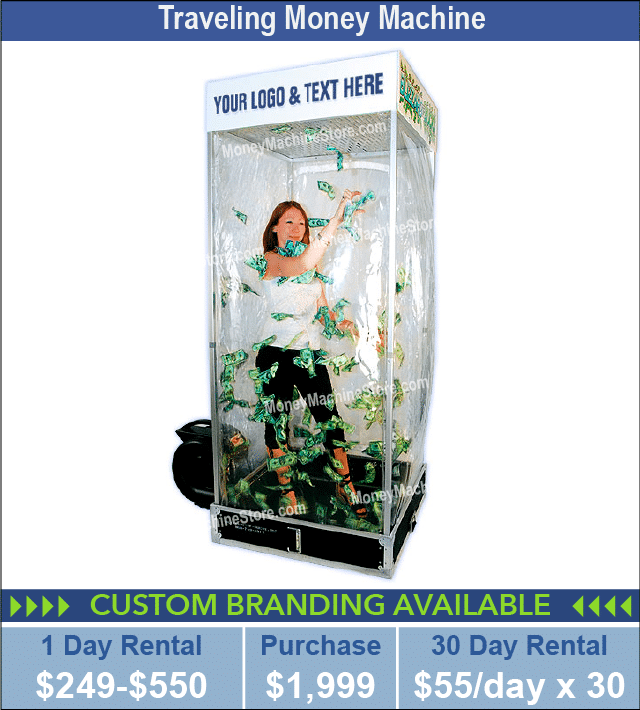 Whether you’re at a tradeshow looking to generate sales or a company event to boost morale, our showcased Blizzard of Dollars® Cash Cube Money Machine will do the job. Just put one of our cash cubes at your Nevada event and watch the excitement build among your participants. 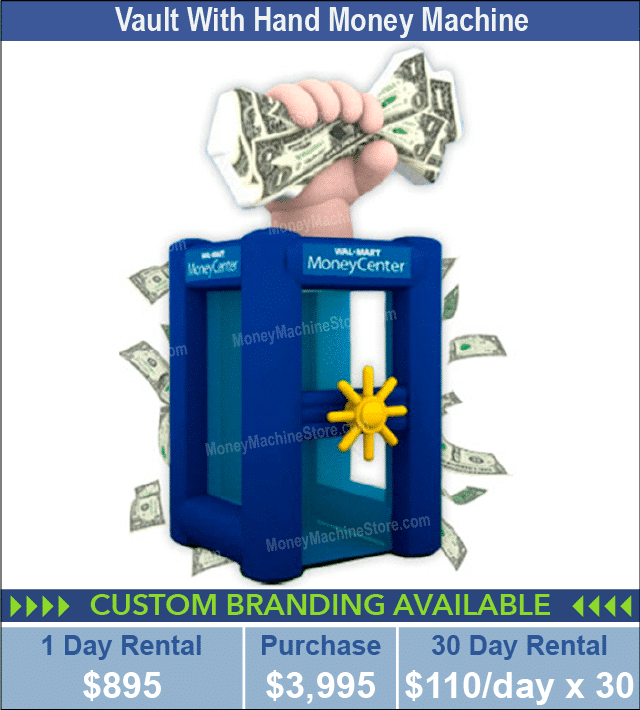 So, What Do You Get When You Rent or Purchase from the Money Machine Store? Our guarantee that you have chosen the ultimate excitement-building attraction, along with committed customer service, from the moment you connect with us. 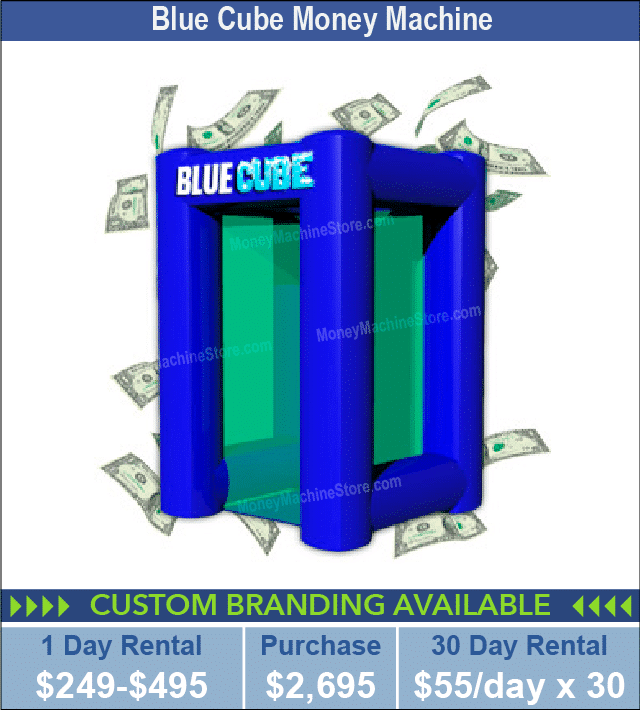 Our cash cubes are easy to use and transport, provide maximum airflow so your cash will circulate to the roof of the machine, and have the visual appeal needed to drive a crowd to your event. And, driving a crowd to your event is what you’re looking for in Las Vegas, Reno, or any other Nevada city. Don’t want to put real cash into the money blowing cube? Well, you have options. Some fantastic options are discount vouchers, coupons, or gift certificates. This way, you’re sure your crowd participants will return to use the gifts. Our money vault draws in the customers you need, giving you the ROI you want. 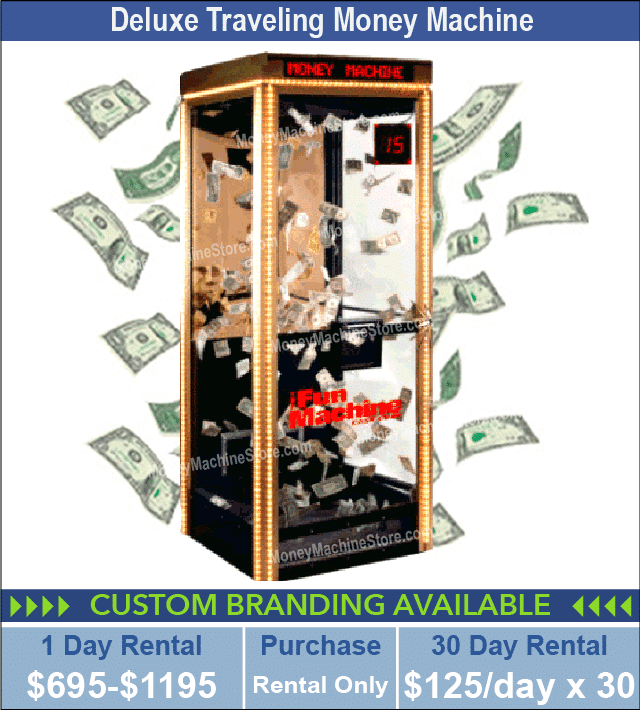 The amount of money you invest in renting or buying one of our machines is nothing compared to the amount you and your company make in profit as a result of your cash cube promotion. Imagine setting up a blizzard of whirling money at a tradeshow. Now imagine a crowd of people around the machine, cheering on the participant like he’s in a game show. Just the pure excitement of winning will be an attraction. Our cash blowers lure in the crowd and get them to your booth.  Now you can sell your service or product, not just to a few potential customers but to a wide audience. That’s not only exciting, but it’s also efficient. Being able to speak to a grand Las Vegas or Reno audience gives you splendid opportunities to sell. You’ll find all these promotional products and more at www.tradeshowattractions.com. Your logo, your color theme, your company. We will make your brand stand out. 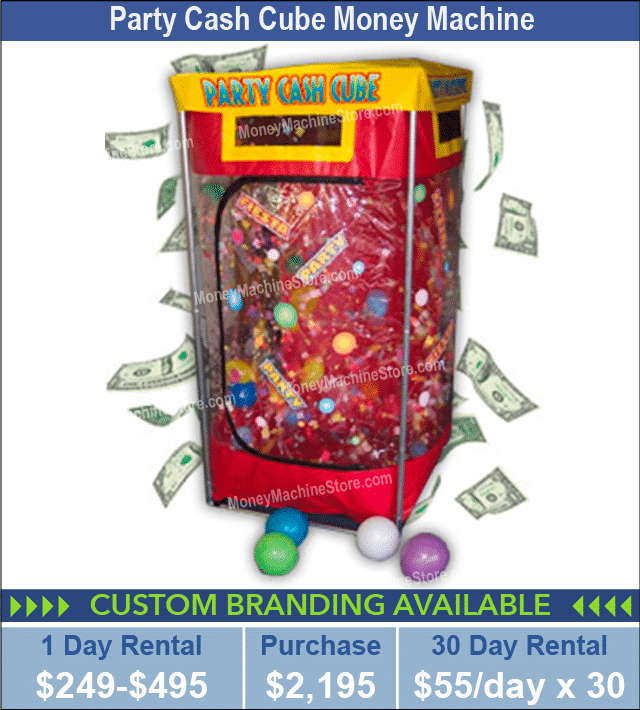 Allow us to customize your rental or purchase to your brand by including your logo on one of our custom branded money machines or other promotional items. Regardless of which excitement-building product you choose, our team of designers can help make it your own. Custom branding is available for virtually any product. 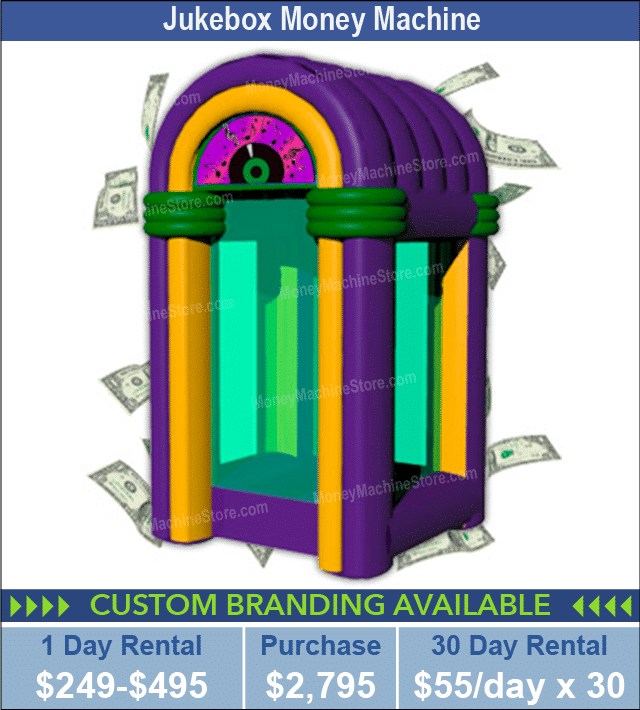 Your rental or purchase will never be a generic, stand-alone promotion because it can be customized, giving you the branding you need to get your company’s name out into the market. 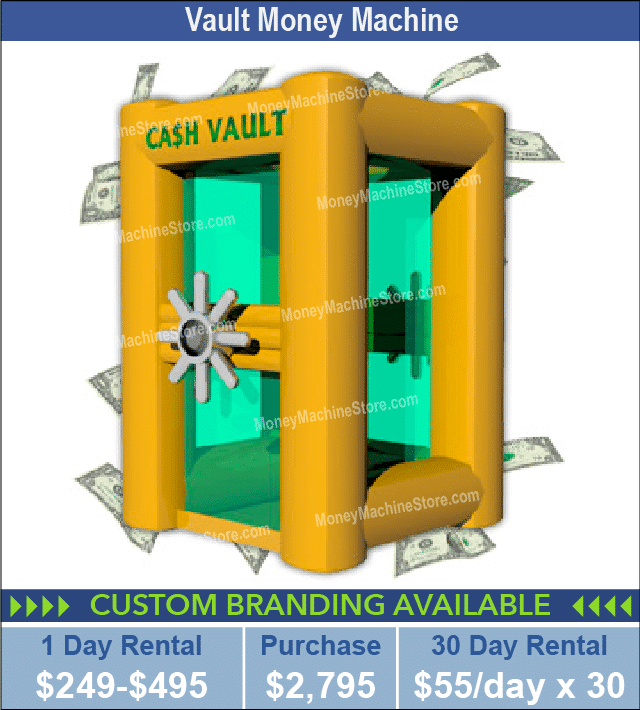 Think high sales and ROI when you brand one of our money vault or promotional crowd builders for your business. Think to boost morale and productivity at your employee appreciation event. Think donations at your fundraiser. Whichever game you choose, our money cubes are sure to be a hit. This day and age, social media is an integral part of any marketing plan. 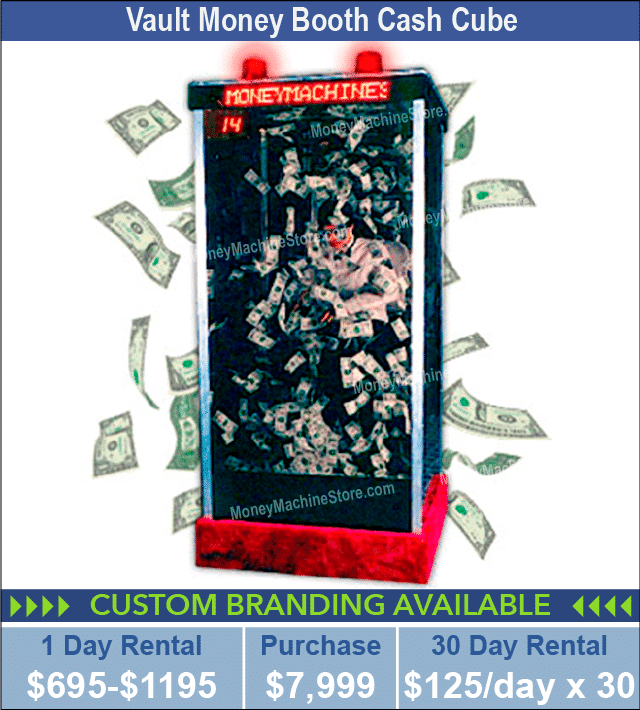 Why not include the cash cube money machine in your social media content and generate a buzz before your next event, sale, or promotion? 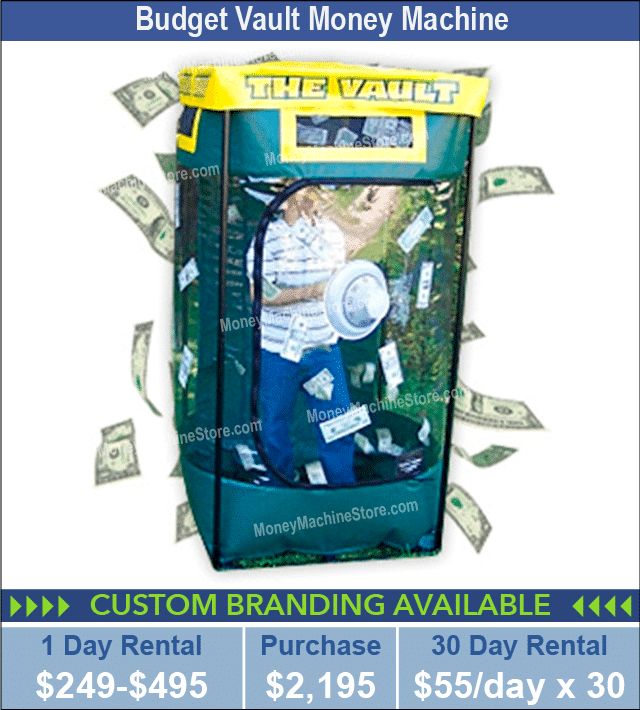 You can use the money vault as a promotion on your company’s website or Facebook, Instagram, YouTube, Twitter, SnapChat or any other social media page you may have. A quick clip of cash flying around in a frenzy is sure to entice an audience and get them interested in your post. A video can excite and entice customers. Watching a crowd of people cheer on participants is not only winning for them; it’s winning for you. That’s what video can do for you. Using our products as promotions on the profitable web, especially on social media, will draw in customers and get them to attend your event. That means potential customers will attend an event specifically by hearing about it from you. They’ll also see it on other people’s social media pages. Why? The crowd will be making videos of your money vault too. After seeing videos of big bucks blowing around and people grabbing and winning this free cash, potential customers will be lured to your booth or table first. That means big profit for you. What city in Nevada is your business? Las Vegas? Reno? Henderson? Whatever Nevada city you’re in, you’re sure to find The Money Machines Stores’ cash machines. No matter where in Nevada you are located, we have money machines available for you. Our cash cubes have been showcased across the state everywhere from automotive dealerships and casinos to casino-night fundraisers. 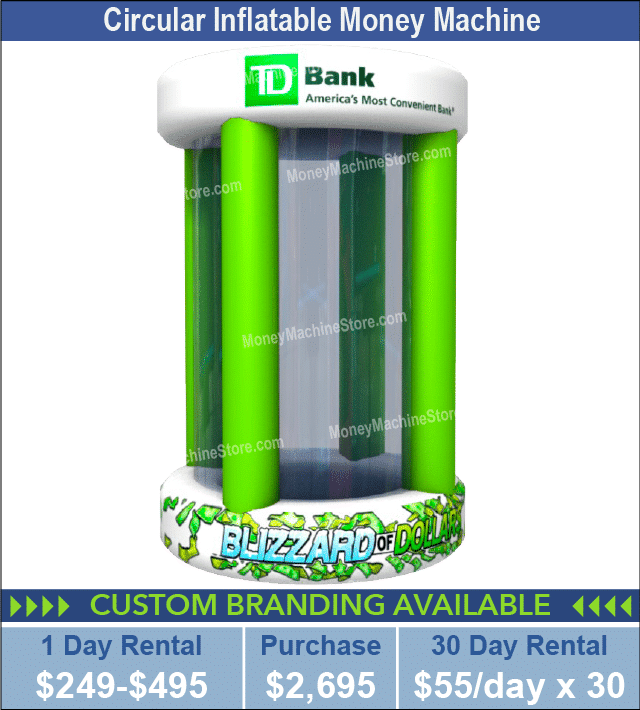 Whichever event space you choose, our featured Blizzard of Dollars® Cash Cube Money Machine or any other of our money vaults or promotional items is sure to fit right in. 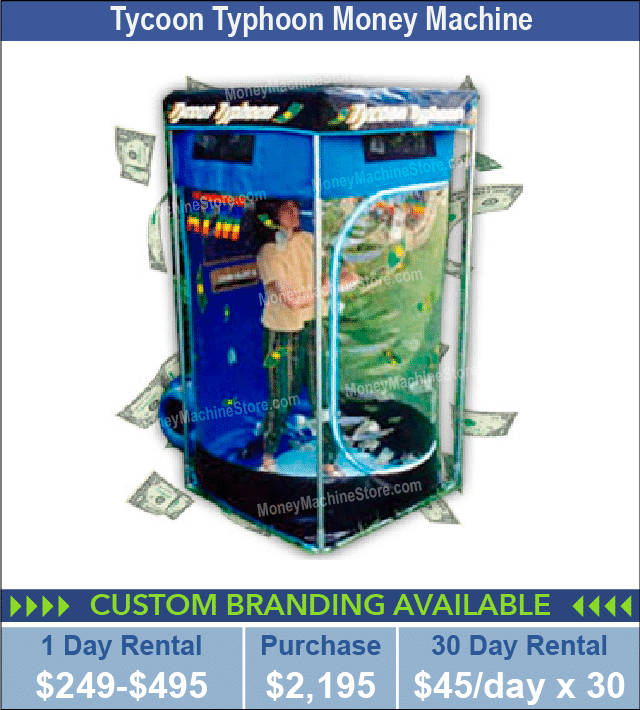 All our promotional machines offer tons of fun, excitement, and best of all, sales. As you can see, there are many types of events that one of our money booths or promotional products that will fit right in. You can bet your potential customers are sure to get wrapped into the excitement of participating and earning cash or any promotional gift you offer. The crowd will be endless. These are just a few unique event ideas. If you’re still unsure about where to host your event, or these events don’t match your needs, call us today at 1-702-516-1500. We can give you ideas on more event spaces or even customize your promotion to create great brand exposure, which leads to great results, including a high ROI on your promotion dollars. 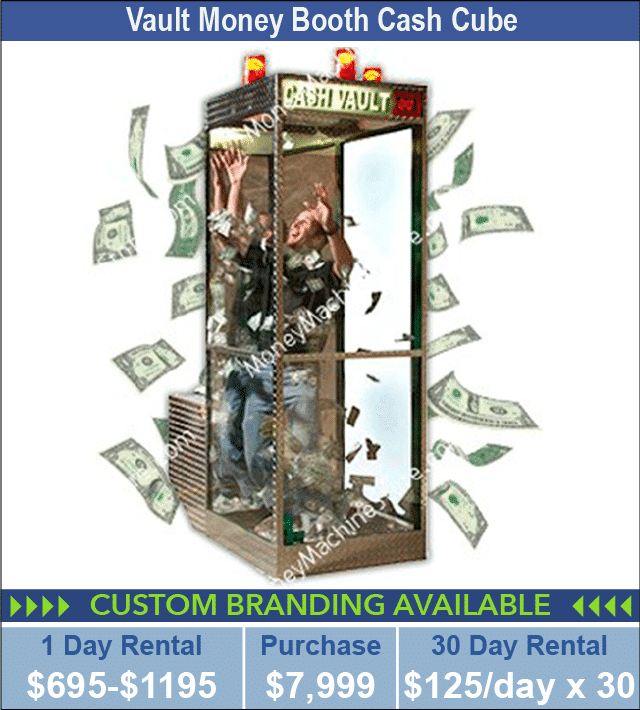 Want to Rent or Buy a Money Booth in Nevada or Any Other State? 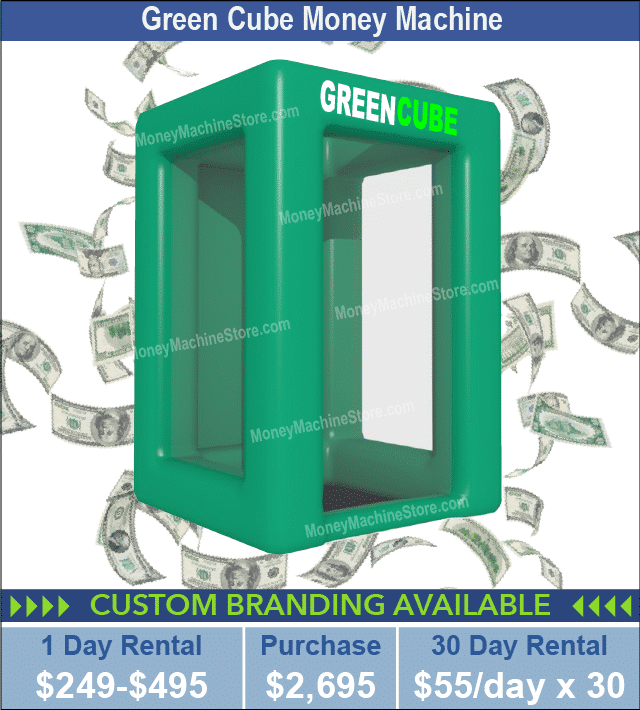 Renting or buying a cash cube money booth is a cinch at The Money Machine Store. We are waiting for your call. Anything you want to ask us, we’ll have the right answer. Call us now at 1-702-516-1500 and speak to one of our friendly customer service reps. They’ll also have great ideas as to where you can hold your event, whether it’s in Las Vegas, Reno, or any other Nevada city, which types of activities you can use a cash cube money machine, and the kinds of prizes you can use. Let us help you plan the promotional gift part of your event. Be sure to inquire about them to see if they’re the right fit for your event. 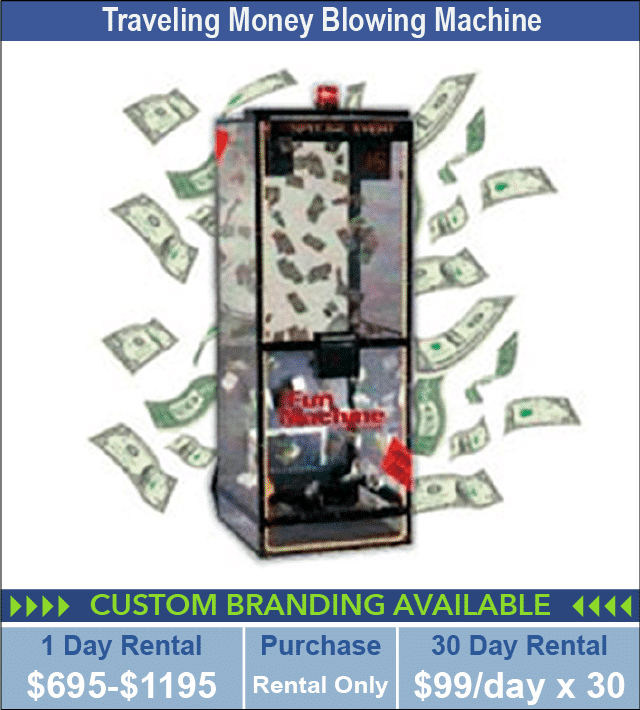 Have you decided to rent a cash blowing machine from us? If so, we can customize it with your logo, giving you the branding you need to sell your product or service. 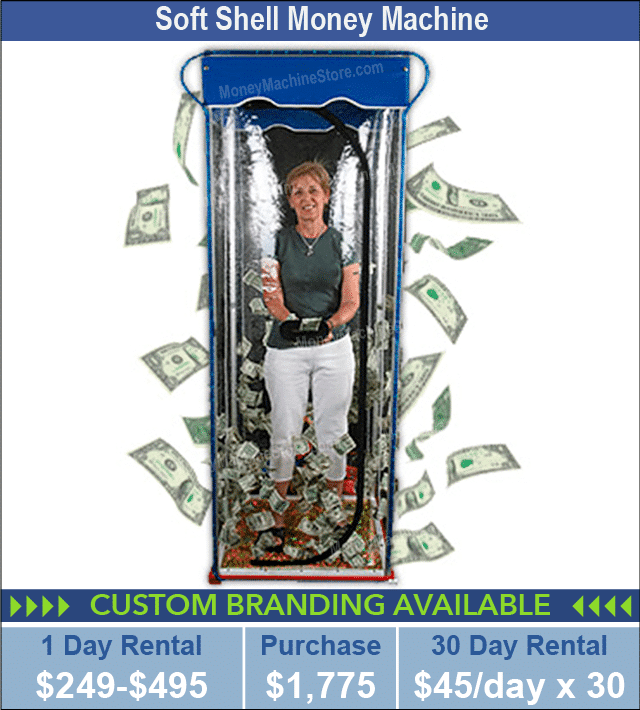 People will remember and recognize your brand with a customized money machine booth. And, that means big profits for you. So, you have options with The Money Machine Store. And, options are good. Call us now at 1-702-516-1500 and let’s work to make your event spectacular and profitable. We deliver on time, every time. You shouldn’t have to worry about your cash cube money machine not showing up at your event on the day and time you need. Whenever and wherever you need it to be in Nevada or the United States, we can deliver. Our highly trained drivers will deliver your money cube machine or promotional item without scrapes or flaws. Rest assured it will be delivered exactly how you ordered it – working and ready to make you a huge ROI. Tells us about your event. You have ideas. We have ideas. Let us help you make it exciting and profitable. We want to make your event a success, to attract a crowd, and help you get the most ROI possible. 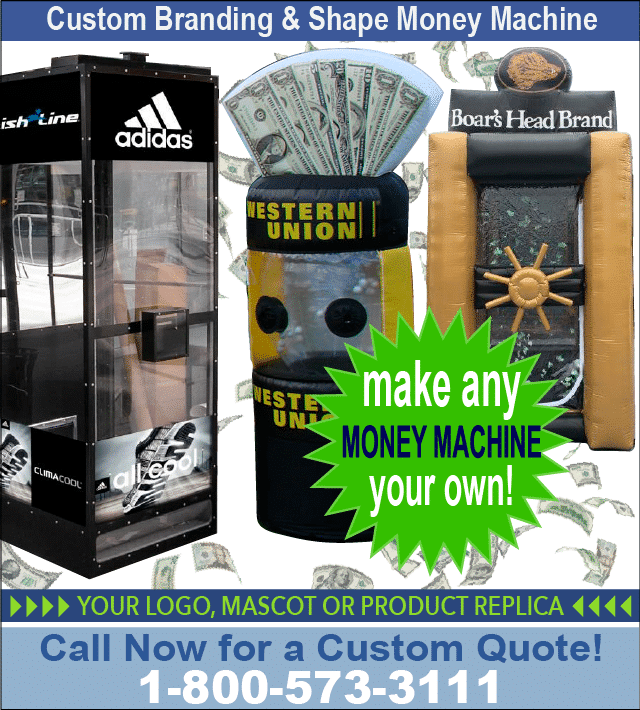 We promise to supply you with the best money booth or custom branded money machines on the market. That’s why we promise to deliver on what we promote – top quality products you can count on, produced on time, whether it’s in Las Vegas, Reno, or any other Nevada city. We’re your go-to money-making store for unique, eye-catching money vaults and promotional products to make your business stand out.